View an album of photos from the Founders’ Day celebration. 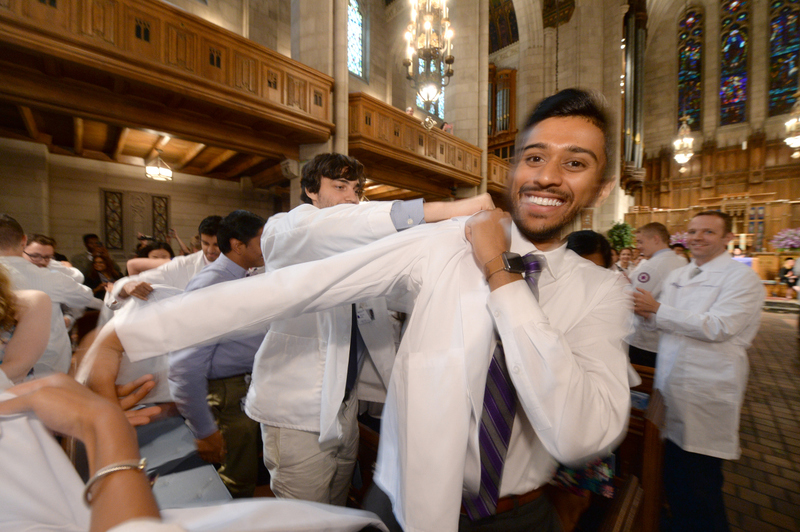 Second-year medical students and mentors presented members of the Class of 2020 with white coats at the 158th Founders’ Day on August 12. Founders’ Day is an annual celebration honoring Feinberg’s founders and welcoming the entering class of first-year medical students to the medical profession. For Faith Svigos, it also signifies a transition from her experiences as a patient and student to her path towards becoming a doctor. Svigos was born with spina bifida and VACTERL association, a congenital defect that affects the development of the spinal cord and surrounding nerves, and she was a patient at Ann and Robert H. Lurie Children’s Hospital of Chicago and Northwestern Memorial Hospital. 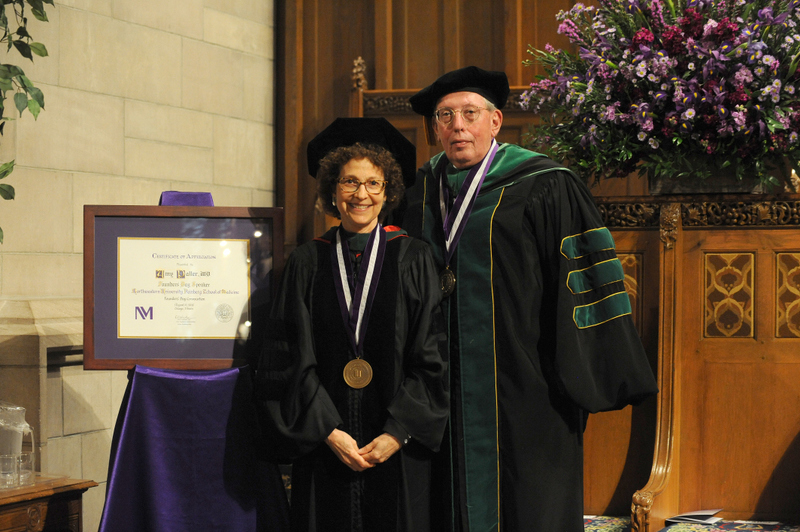 Many of her physicians and mentors had training at Northwestern and serve as Feinberg faculty members. Svigos joined 162 other members of the Class of 2020, plus second-year medical students, faculty and families at the 158th Founders’ Day gathering on August 12. Eric G. Neilson, MD, vice president for Medical Affairs and Lewis Landsberg Dean presented Amy Paller, MD, chair of Dermatology and Founders’ Day keynote speaker. Neilson discussed the history of Feinberg and the obligations and responsibilities students will have in the future as physicians. Amy Paller, MD, chair of Dermatology, delivered the keynote address. Paller provided advice to students and shared her own journey as a physician-scientist. During the ceremony, second-year medical students and mentors presented members of the Class of 2020 with white coats and students recited the Declaration of Geneva, the modern-day equivalent of the Hippocratic Oath. 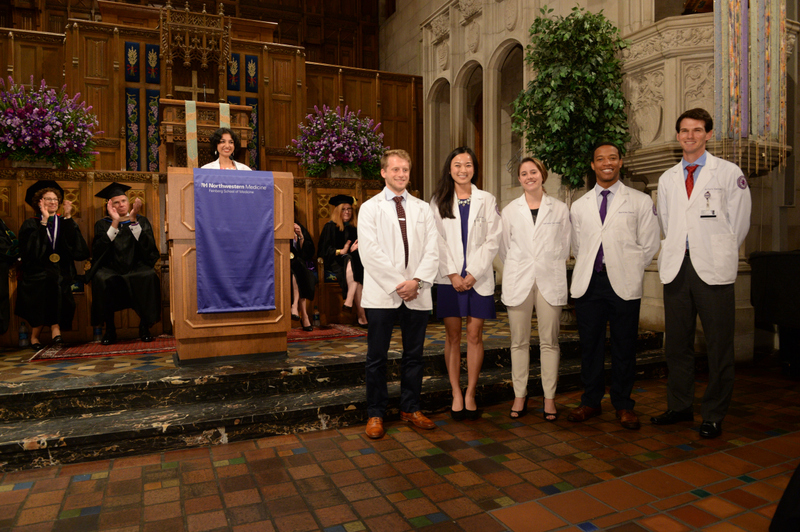 Roshni Bhatnagar, president of the Student Senate, presented awards at Founders’ Day to second-year medical students in recognition of their community service and leadership during their first year at Feinberg. Ilesanmi spent the last year conducting mental health research and education in Nigeria. “I think Founders’ Day is really the celebration of the fact that we’ve made it to this stage in our lives. We all get to go and grow through this phase together, which is awesome, and makes it slightly less daunting. I look forward to looking back on Founders’ Day in four years and being proud of how far we have come,” Ilesanmi said.